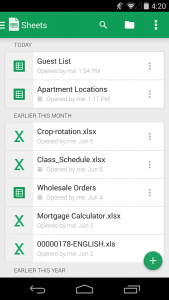 Intro: View, edit or create new spreadsheets with Google Sheets app. 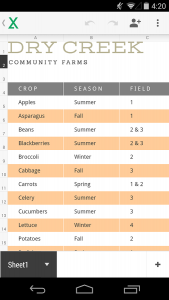 Format cells, enter or sort data, view charts, insert formulas, use find/replace and more. Your work is automatically saved to make sure you do not lose any data. You can also work offline. 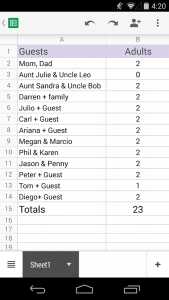 Google Sheets support viewing and editing Microsoft Excel spreadsheets.